Another May Day come and gone! After we catch up on how radicals around the world celebrated it in the streets this year, we'll turn back the clock a few decades to a particularly notorious May: Paris in 1968. The strikes and riots that nearly toppled the French state—as well as the Situationist International, those Marxist-influenced art radicals whose theories influenced the uprising—are the topic of our main feature for this episode. 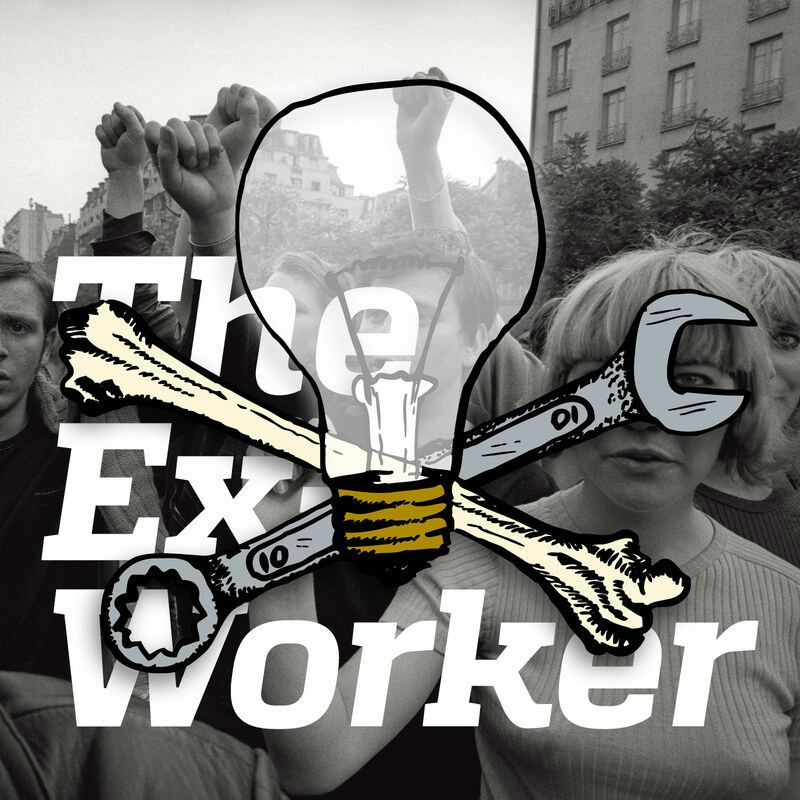 One of the key texts coming from the Situationist tradition, Raoul Vaneigem's The Revolution of Everyday Life, appears on the Chopping Block. Listeners weigh in on future episodes, "Uncle Ted," and the Ukraine episode and anarchist strategy. And of course there's more news, events, prisoner birthdays, and other goodies. In today’s main feature, we scratched the surface of the contribution of the Situationist International to contemporary radical thought. If your interest is piqued and you’re looking for more in-depth exploration of these ideas, there are plenty of resources available in print and on the internet. A great starting place is our topic of this episode’s Chopping Block, Raoul Vaneigem’s The Revolution of Everyday Life; it’s available for free online at the Anarchist Library, as is On The Poverty of Student Life, which we mentioned in our discussion of the Situationists. Of course, another classic is The Society of the Spectacle. It’s not an easily accessible starting point, but it is a crucial text if you’re trying to understand the Situationist analysis. Basically every piece of paper Guy Debord ever wrote on can be found on Not Bored (if you can tolerate Bill Brown’s Debord-esque attitude), and the Bureau of Public Secrets is another outpost of translations of Situ material (if you can tolerate the web design). The bureau also hosts this killer list of graffiti slogans from May ‘68,, which a crew of our friends read for this episode’s feature. Cody Sutherlin of the Tinley Park 5, who plead guilty to three counts of armed violence for his role in storming a restaurant during an organizing meeting of white supremacists, will be released from prison next month! Here is a link to his release fund. Updates from the hunger and work strikes at prisons in Menard, Illinois and Alabama. Earth First organizers are planning a tour to circulate the newly published Direct Action Manual and share direct action skills; if you’re interested in having them come near you, email dam at earthfirstjournal dot org. Open Books in Pensacola, Florida, which houses a books to prisoners collective, was hit pretty hard in recent flooding and suffered a lot of damage. Read their call for support. Anarchist prisoner Casey Brezik is requesting books and letters to help chip away at his 12 year sentence for attempting to attack the Governor of Missouri. During our listener feedback, Statler and Waldorf wrote in to challenge us for not listing the Unabomber Ted Kaczynski’s birthday among our listing of political prisoner birthdays. Here’s the text of "Industrial Society and its Future, the so-called Unabomber Manifesto, info about the 1996 Unabomber for President Campaign, and a collection of his writings on the Anarchist Library. May Day! May Day! Check out these links for info about demonstrations that happened on May the first around the world, including New York, San Francisco, Atlanta, Philadelphia, and Seattle - including the “anarchist vs superhero” scuffle. Check out this thoughtful analysis of new street tactics used to avoid kettling by riot police in Montreal. We’ve also seen reports from The Hague, . Disgusting fascist rallies also took place, from the French National Front in Paris to Nazi marches in Plauen, Germany and Jonkoping, Sweden. Some of the most conflictual demos took place in Istanbul and around Turkey, as well as in Malaysia, where black blockers “refused to apologize” to the media. Definitely don’t miss this fascinating, disturbing video of riot cops being defeated, disarmed and humiliated by pro-Russian protesters in Donetsk, eastern Ukraine. News discussed on the Hot Wire included the sentencing of the NATO 3, Debbie from the Blackmail 3 in the UK, and Swedish animal rights activists; solidarity actions in Seattle including banner drops, ATMs sabotaged, and locks glued; rail lines blocked in Montreal; a hunger strike and protest at a UK migrant prison; a Catholic church attacked in Chile by the Mauricio Morales Vengeance Group; an Alabama prisoner strike, a Greek nihilist attack against a murderous prison guard, a popular occupation of military-owned land in Columbia, a study of the deadliest countries for environmental and land defenders, attacks on indigenous Brazilians and Guatemala anti-mining activists, protests in Turkey after a mining disaster, the paramilitary attack on Zapatista community La Realidad, the US Congress’s resolution to impose sanctions on those responsible for “human rights abuses” against protestors in Venezuela, a Filipino anti-Obama protest, and police killing demonstrators in a protest against a proposed waste incinerator in Hangzhou, China. Doug is currently in transit; stay tuned to the Cleveland 4 support website for updated mailing address!